Download Full text (FDF) : After click 'add to cart' and checkout you can see a link to download this article on screen and also you will receive an email with the link for download it. Fei Xiaotong’s first contribution is his best-known and deliberately comparative conceptualization of the basis of Chinese social relations. The second contribution is a continuation of the theme of comparison, but through a methodological imperative of self-reflection and self-exposition by anyone, native or not, embedded within a particular society but already partially disembedded by the task of studying it. The third contribution is helped with the question of how to generalize to the whole of that economy and state from selected case studies. The fouth contribution continues with a discussion of these questions: how and for what were Fei’s studies carried out, and how can they be extended to other studies in China up to the present day? What further steps must we take in accepting Fei’s works into anthropology, or into the sociology of social capital, or into management studies? …… The fifth contribution based on an article we come at last to some country-to-country comparisons, though they must be suggestive of the far greater potential for comparison. Finally, the six contribution is about Fei’s life and work, indeed to his life as a work of Chinese political history. 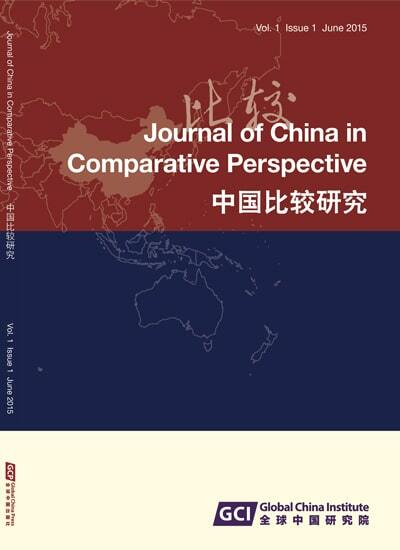 Abstract: Fei Xiaotong’s first contribution is his best-known and deliberately comparative conceptualization of the basis of Chinese social relations. The second contribution is a continuation of the theme of comparison, but through a methodological imperative of self-reflection and self-exposition by anyone, native or not, embedded within a particular society but already partially disembedded by the task of studying it. The third contribution is helped with the question of how to generalize to the whole of that economy and state from selected case studies. The fouth contribution continues with a discussion of these questions: how and for what were Fei’s studies carried out, and how can they be extended to other studies in China up to the present day? What further steps must we take in accepting Fei’s works into anthropology, or into the sociology of social capital, or into management studies? …… The fifth contribution based on an article we come at last to some country-to-country comparisons, though they must be suggestive of the far greater potential for comparison. Finally, the six contribution is about Fei’s life and work, indeed to his life as a work of Chinese political history. Stephan Feuchtwang 王斯福 is an Emeritus Professor of the Department of Anthropology, and founding director of the China in Comparative Perspective Network (CCPN), London School of Economics and Political Science (LSE). He was President of the British Association for Chinese Studies (BACS). Based on his long term studies on popular religion and politics in mainland China and Taiwan he published work on charisma, place, temples and festivals, and civil society. He has been engaging comparative studies exploring the recognition of catastrophic loss, and civilisations and empires. He is author of After the Event: The Transmission of Grievous Loss in Germany, China and Taiwan (2011), and Popular Religion in China: The Imperial Metaphor (2001).